Moving to an earthquake zone? If it’s minor, it feels like you’re on a boat in calm seas. The ground rolls gently beneath you, and loose items swing as if in a light breeze. If it’s major, you might as well be standing on jello. The walls tremble and warp, and chandeliers swing like monkeys. Earthquakes, especially strong earthquakes, are some of most devastating natural disasters on earth. They can level entire cities, leaving people trapped in the debris of their own homes. Worse, they come unexpectedly — they can’t be predicted, even with our best technology. If you’re moving to a place that experiences earthquakes, you should learn how to prepare for them and know how to handle them should a strong one hit. Her is our earthquake survival guide. 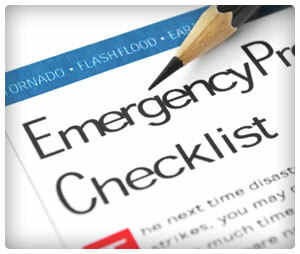 Preparing for an earthquake means having (1) supplies on hand and (2) a plan of action in place. Put the following into a survival pack — a toolbox is a good container. Also, keep the survival pack in a very accessible spot, like a closet near the front door. Water/food – Have enough for at least a few days. Protein bars are nutritious, compact food to have on hand. Bandages – Bandaids for minor injuries, and gauze bandages, cotton and tape for gashes. Meeting place – Have a place to meet your family/friends. It should be an open area, such as a parking lot or a park, because there might be aftershocks. Turn off utilities – If your home ends up severely damaged, you should turn off its electricity and gas. Know how to do this. If the ground starts dancing, you’ll need to (1) find cover, (2) stay observant, and (3) ultimately get outside. Cover – When an earthquake hits, stay roughly where you are (inside, outside, in your car), but situate yourself away from glass, heavy objects, power lines, or anything that can fall. Also, crawling beneath something sturdy, like a desk, is a good idea. Be Observant – Keep your senses keen to your surrounding. Be aware of gas leaks, fires, and groans that might indicate something will fall. Also, keep a look out for those in need. Be careful; take it slow; don’t start running and screaming. Get Outside – Ultimately, if possible, you want to get to a open area (perhaps your meeting place), because there might be strong aftershocks coming. Ideally, you’ll have your survival pack with you, but don’t get your survival pack if it means venturing into a collapsing home.